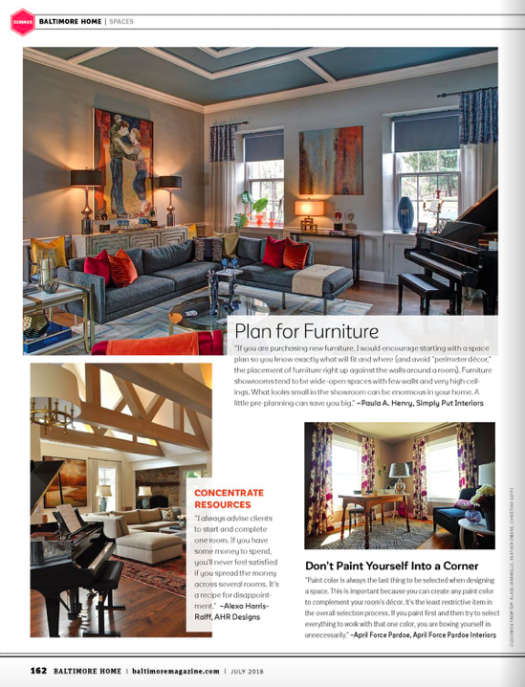 In its July 2018 issue, Baltimore magazine picked the brains of local designers, architects and decorators - myself included - to share our best tips and tricks. The article, Inside Tips, offers readers professional insight as we divulge decor secrets from mixing and matching finishes to taking on trends. To read the full Inside Tips article, grab a print copy of the July 2018 issue from your local newsstand (available through July 23rd!) or purchase a digital copy here. And of course, a big thank you to Baltimore magazine for asking me to contribute!